Most of us would rather avoid confrontation. Unfortunately, we live in a world that is not free of it. 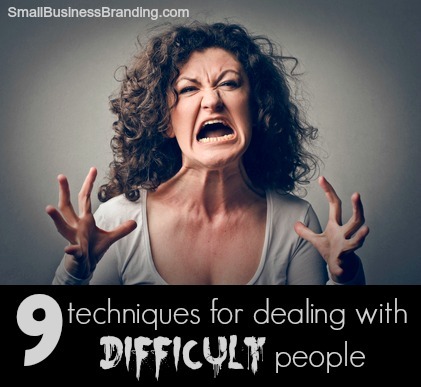 We have to be dealing with difficult people and situations in our business from time to time. Here’s the good news. In some ways, handling demanding people is a little easier online because that person isn’t in your face. You also have the luxury of time and to respond on your terms. Try these techniques the next time you encounter a troll, an upset customer or someone who is just plain rude. This is always so much easier said than done in the heat of the moment. However, as mature adults, we simply must learn to contain the natural anger and hurt. For me, staying detached helps. I pretend like I’m a customer service rep just doing his job. Often, I even introduce or sign off with a different name (that has other benefits too). This way, I’m forced to be calmer – after all, if I were a rep who wants to keep his job, I should be nice. It is awfully tempting to close your eyes and pretend things never happened. However, when people misbehave on your turf, such as your blog, your forum, your Facebook group or page, your help desk, it’ll only hurt in the long run to let things slide. Resentment among members will seep into the community. Those following you will notice the lack of leadership. And, if it’s a customer issue, you’ll probably lose them for good. It’s hard but you should always acknowledge the offender. Just because you must respond doesn’t mean you should jump right to it. Try not to get roped into a match in the heat of the moment. Let a comment stand 15 – 30 minutes or even an hour or two. It’ll be OK. You’ll probably have a clearer head by then. You might also have given the other person some time to chill out. There are two scenarios when to use this. First, when you are stumped at how to respond to a particular issue. Two, when you want to validate your response is the best possible one you can give. Almost always, I find others will give, or remind me of a different perspective. This usually leads to a clearer, better thought out reaction that seeks to reconcile rather than alienate. We all have bad days where one bad thing seems to lead into another. Whether we realize it or not, we offload this negative energy onto others. Perhaps that’s what’s happening to this person. Sometimes, no matter how you say it, explaining yourself always comes off as defensive. This could infuriate people even more, sending the situation spiraling in a direction you don’t want. By returning rudeness with politeness, we break the cycle. The buck stops with you. Unless it’s a personal attack, underneath all the tough words, there could be truth. This person might be pointing out something you overlooked. They might be showing you a different way and point of view. It’s hard to read but after time has passed, try to ascertain if there is something you can learn from it. It’s OK to feel a little upset again but don’t let that take over. Focus on what you can learn and you’ll see it. No matter what you try, some people may be beyond helping. Limit your time with them. Get someone else to assist them. Try to have short conversations or those that steer clear of hot button topics. If you really cannot be around them, cut them loose completely. It’s never easy dealing with difficult people. Give yourself permission to feel hurt, to even get upset. You can’t win over everyone, but if you stay classy, you’ll always come out a winner, no matter what the immediate results are. I started my first offline business around 1992 I owned and operated a radio sales and repair shop for about 4 yrs. I have beenonline since around 1996. I dabbled mostly and it wasn`t till 2006 when I went to my first Big Seminarthat I really saw what the internet was doing right at my fingertips. Since then I have started and currently run several service sites online.My personal brand online is notcompleted yet but I work on it daily in the hopes of establishing myself. I decided to narrow down those that I truly follow and recommend. Armand Morin , Michel and Sylvie Fortin and Jim Howard author of Branded for Success are my main sources of knowledge these days by choice. For inspirationTony Robbins fills the bill nicely. I have to say that Ed Dale is still a favorite and I love what he has done with the Challenge and the amount of people I know who have benefited .Jimmy D Brown,Jim Edwards are always trusted sources of quality information. I intentionally cut back on those that I follow to reduce the noise and allow me to focus on what is important.This is not to say there are not plenty of good people to learn from. I just think you need to choose a few and immerse yourself in what they can offer. 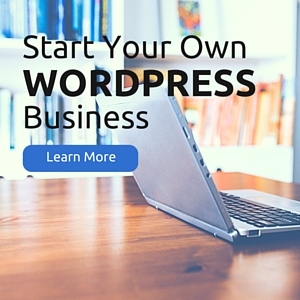 I think I have a diverse enough background to bring some good things to smallbusinessbranding.com . I look forward to the chance to prove it. What a logical and though out list. I always find it hard to not sound defensive, especially when the other person is clearly not thinking about what they’re saying and I feel the argument swerving into personal attacks. The upside being that since it is online it’s very easy to cut people loose so you don’t have to deal with illogical people. Yes, when people get personal it is definitely hard to step back. While it is easy to set people loose online, it’s also easy for them to stalk you and hide (or attempt to). I’ve only ever had to deal with one in the 14 years online (thankfully!). Sometimes when cutting them loose you will be able to refer them to a competitor.Everyone walks away a winner .This only works when you realize competitors are not the enemy and you actually need to be familiar with them to make that recommendation. This is one I have experienced quite often unfortunately – I worked in retail for nearly ten years and then on the consultant side of digital marketing for nearly 6 years or so. A lot of times, keeping calm and waiting before you respond is the best way to go about it. Edit: this comment ended up on the wrong post. I find it very difficult to take anybody seriously when they begin personal attacks or simply lose control of their emotions. How can you actually listen for real feedback when the other person is venting out their anger on you? Because humans are emotional beings. Some of us are better at controlling ourselves than others. At other times, we may be experiencing a really, really bad day or week that that makes one act unreasonably and use tactics they may not resort to on any other day. While this may indicate a serious character flaw, unless you’ve had regular contact with this person, it’s unfair (although so very easy) to dismiss them. Personally, I try to give people a lot of room to operate but after the first handful of times, it’s time to get tough. Indeed, when you let junk sit on your web property, it does look bad for you. It’s like if someone vandalized your home and you left it like that, people will judge you, not just the vandalized. Yep. Always have to deal with it. Unpleasant as it may be. First is your own self-control, çause you can argue with a person who have less-knowledge or understanding, the result will be you being taken to the same level as their knowledge, and when you come to the same point because you’re trying to adjust the knowledge level, they gonna beat you there.